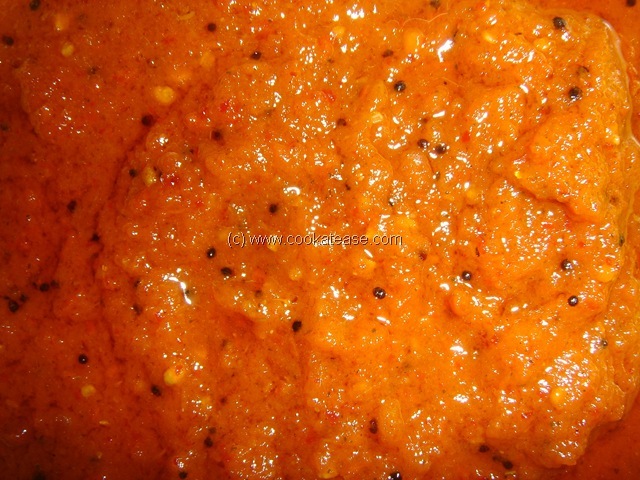 Tomato plays a dominant role in making chutney. It is almost available throughout the year. 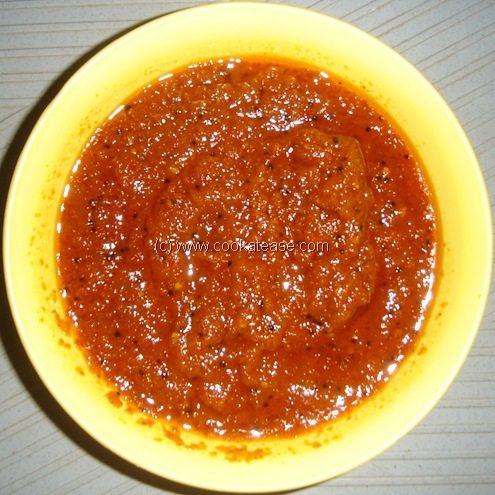 Fry red chilli and half of curry leaves in a few drops of oil in a fry pan; allow it to cool. 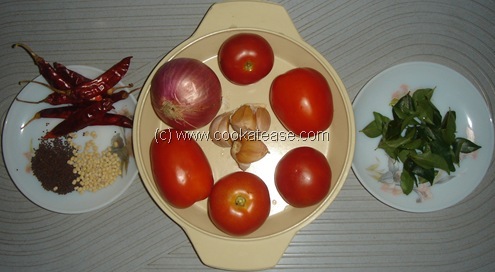 Grind together chopped onion,tomato,garlic with fried red chili, curry leaves adding salt to a fine paste. 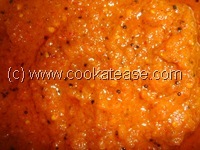 Heat a pan, do the seasoning and add the ground paste; mix well. Cook in a low flame, till oil separates from the mix. Good combination with Idly, Dosa, Adai, Paratha. no need to add water to grind. Next post: Waxed Apples: Are They Safe to Eat ?